Where was your most exotic house sit? Ours was housesitting Fiji where we spent five weeks pet sitting and managing a luxury beach resort. We also had to implement a disaster management program which the islands were hit by a category five cyclone – but that’s another story! Fiji is just one example of any number of exotic locations in which you could find yourself living or vacationing, if you sign up to the fastest growing travel trend – house sitting. Later this year we will be in the UK, Mexico, Panama, and Nicaragua. As if that weren’t exotic enough, we have just secured a three month house sit for 2017 in Botswana, where the only animals to look out for are the wild ones – hippos in the lagoon at the end of the garden and elephants in the road. We house sit full time, but you can join the house sitting community and take assignments for only a couple of nights, or in some cases, for as long as a year, or more. It’s your choice. 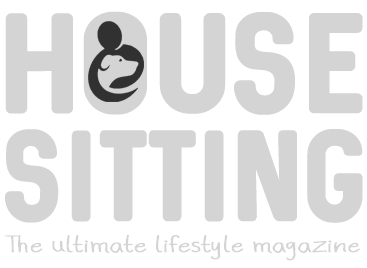 If that hasn’t tempted you to explore the world of house sitting, then you can read more about some of the most unusual and remote locations as experienced by other house and pet sitters, every month in House Sitting – The ultimate lifestyle magazine. Over the months, we will also be interviewing home owners who use house sitters to escape their exotic destinations. Yes it’s true. Living in paradise is wonderful, but often it’s at the expense of spending time with family and friends. You’ll get the chance to meet the people who give you the opportunity to experience a little bit of heaven (and furry cuddles), while they take time out to spend in their country of origin catching up with people they love and miss. You never know – house sitting in Fiji might be something that you can experience in the not to distant future! How can we find a house to house sit in fiji? You could also try looking for expat groups on Facebook. All this said, there aren’t huge numbers of house sits in Fiji, but if you find one you could spread your info also by word of mouth through networking.